Through our educational and outreach programs, Texas Center for the Missing is able to offer a number of informative presentations and resources to our community. Our presentations can be tailored to different organizations and demographics, and you can request more information about a specific program in the form below. The Alzheimer’s Wandering Prevention Training is for caregivers whose loved ones suffer from any form of dementia and is designed to deter the highly dangerous pattern of wandering. Learn more about Alzheimer’s Wandering Prevention on Endangered Adult Resources. The Missing Child Awareness, Prevention, and Education Training is specifically designed to teach parents, childcare providers, concerned community leaders, and educators how to keep children safe from abduction and internet lures. Access more missing child educational information on Find My Child! Resources. The Interactive Internet Safety Training consists of multi-media presentations developed in three formats geared toward parents/adult caregivers, 6th-12th graders, and elementary-aged children. These age-appropriate trainings are based on the NetSmartz Program and are ideal for schools, community groups, and after-school programs. Learn more about additional Internet Safety Resources. The S.A.F.E. 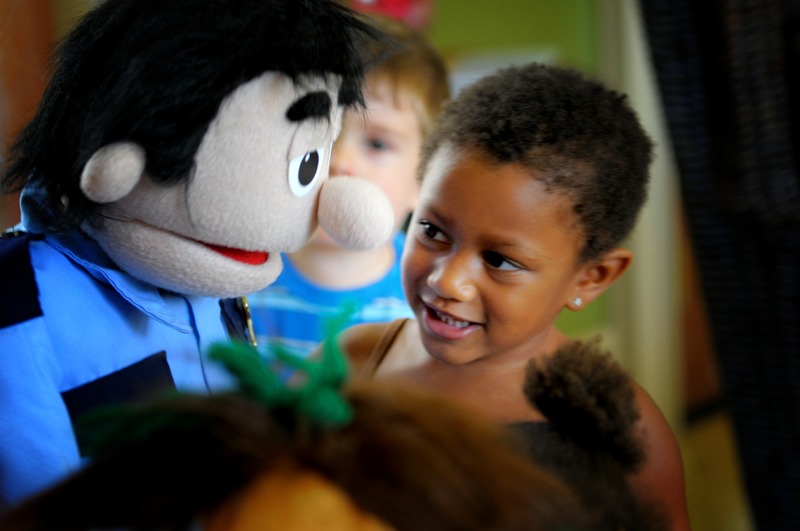 Child Puppet Show is for children under 8 years old and features Detective Buddy, who teaches Billy and his friend, Barb, how to stay safe with real-life examples. Learn more about the S.A.F.E. Child Puppet Show. We distribute abduction prevention information at health fairs, festivals, or malls across the Greater Houston Area. We are able to provide these resources based on the availability of staff and volunteer time. Our Child Identification Kits allow families to keep up-to-date records of their children handy in case of an emergency. You can request us to distribute hardcopy Child Identification Kits at your organization or event, or download a free Child Identification Kit in English or Spanish. We provide Investigator, First Responder, and Amber Alert Training to law enforcement officers within their agency’s missing persons, kidnapping, or homicide divisions. To register for an upcoming law enforcement specific training, visit the Law Enforcement Trainings page. We are happy to offer an informative Lunch and Learn to Houston businesses during which we will provide a free, 45-minute child safety presentation and related literature. Lunch and Learn Hosts are responsible for setting up a meeting room space, providing lunch, and advertising the event within the company. If you would like Texas Center for the Missing to provide a presentation, training, or materials to your group or organization, please submit a formal request below. We will contact you shortly with our availability. Thank you for your interest in Texas Center for the Missing's programs!